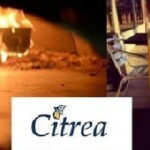 Join the Southern Tiers Young Professionals this beautiful summer day at Citrea! Located right near the water front, this beautiful location is one you don’t want to miss! Are you able to effectively communicate your emotions in a business context? Can you keep cool under pressure? Do you recognize emotional reactions & how to best handle them in the workplace? 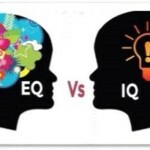 Emotional Intelligence is fast becoming one of the most important attributes for success in business. The Southern Tier Young Professionals are excited to host “Transformational Communication” hosted by acclaimed IBM Learning Consultant Richard Orth. Deepen your awareness of Emotional Intelligence (EI) – the capacity to be aware of, channel, and express one’s emotions, and to handle interpersonal relationships judiciously and empathetically. Participants will discover how to transform the way they communicate, both verbally and non-verbally, using two foundational dimensions of communication that dramatically affect EI. These dimensions guide our personal actions which, in turn, shape an organization’s culture, which, in turn, directly affects business performance. Registration is FREE. Please visit https://goo.gl/forms/ZoMjrnb6PTyAT8082 to sign up. RICHARD ORTH is a Learning Consultant, having over 38 years’ experience with IBM as a change leader, facilitator, trainer, leadership coach and business analyst. He helps client organizations improve their capabilities in the areas of cultural transformation, leadership development and process improvement. Richard has developed and led workshops on culture change, transformational leadership, collaborative problem solving and decision making, and process facilitation. Kick-off mixer for the Young Professional (YP) Alliance at The Garage on June 15th from 5:00 PM to 7:00 PM. The Young Professional (YP) Alliance is being created to facilitate partnership between professional groups in the area including the Greater Binghamton Chamber of Commerce, Southern Tier Young Professionals, United Way Emerging Leaders Society and Broome County Urban League. This event is hosted by the Greater Binghamton Chamber of Commerce and tickets can be purchased through them. STYP members will be reimbursed.